No one saw that coming. 29th place the year before, to first place in hockey’s toughest division. 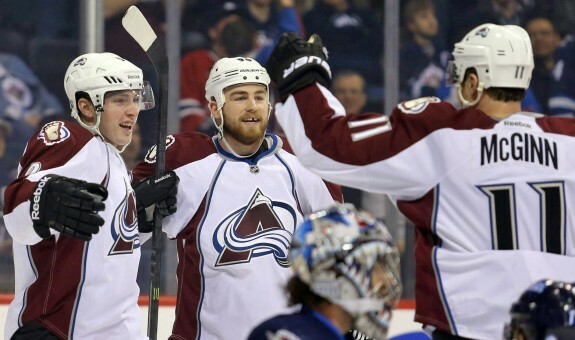 The 2013-2014 Colorado Avalanche were a turnaround story like little else before them. 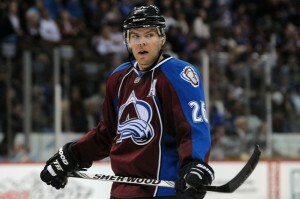 At the beginning of the new season the Avalanche and their fans have a renewed sense of excitment, and big expectations. Meeting these expectations won’t be easy. The Central Division got tougher during the off season, and Colorado may not have done enough to keep up. Though despite losing a long time member of the franchise, they did add a few pieces that could help. The season gets started in about 2 weeks time, and the Avalanche are just starting their pre season campaign. Here is a look at the players, both new and old, the division, and what it will take for Colorado to start playing meaningful games all the way into June. For real nice breakdown of all the players and how they looked at training camp see this roundup over at The Burgundy Brigade. Jarome Iginla is obviously the standout signing for the Avalanche this offseason. He’s going to come in and be expected to replace the offensive numbers that new St. Louis Blue Paul Stastny put up. Iginla may be on the wrong end of 30 for some fans, but he’s still a capable forward. He put up 30 goals in Boston last season, and with the kind of weapons he’s surrounding himself in Colorado, 30 goals isn’t an unrealistic expectation. The knock on Iginla is that he may have trouble keeping up with Colorado’s speedy young forwards. In training camp he spent a lot of time with Matt Duchene. Whether or not he will be able to keep up with Duchene for a full season is yet to be seen. But Iginla clearly wants to be in Denver. His leadership should go a long way in helping some of the greener members of the locker room. If he’s able to put up the kind of number he has so consistently then he should more than justify his price tag. Brad Stuart is Colorado’s main addition to the blue line this year. This fact alone has some Colorado fans nervous for the start of the new season. Like Iginla, Stuart isn’t getting any younger as time goes on. The sense from a lot of Shark fans is that they are glad to see him off their team. That’s a worrying sign for the Avalanche. But Stuart is a decent defenseman, and he brings a level of experience that no other member of the Colorado blue line possess. He’s not going to score a lot of goals (he has 16 in the last five seasons), but he’s not expected to do that. He’s going to be expected to anchor whichever pairing he’s on, allowing his partner to get forward and help on the rush. If he’s capable of playing smart positional hockey, then his age and lack of speed might not be an issue. If he tries to get to fancy then he’s going to be caught flat footed more often then not. Stuart just needs to keep his game simple. Daniel Briere was acquired in a trade that sent P.A. Parenteau to Montreal. Parenteau was a popular player in Colorado but there was talk that he didn’t quite fit into what Patrick Roy wanted from his team. The addition of Briere, who isn’t going to play more than third line minutes, is very much in line with Colorado’s leadership movement. Briere brings experience to the team, and he’s been to the playoffs 12 times in his career. Briere has averaged .74 points a game over his career. It’s a decent record for him, but it’s unlikely he’s going to put up those kind of numbers in Denver. His roll is going to be one of depth, and powerplay work. He should line up with players like Max Talbot and Jamie McGinn. On paper this gives Colorado’s forward group really nice depth. Whether or not Briere lives up to that is yet to be seen. Nathan MacKinnon had an almost unbelievable introduction to the Stanley Cup Playoffs in April. Where some rookies have struggled to quickly adapt to the frantic pace of playoff hockey, MacKinnon stepped in and scored 7 points in his first two games. There were moments in that series where MacKinnon looked downright unstoppable. These kind of performances bode well for his development in Colorado. His 63 points led all rookies last season, and he’s going to need to take another big step forward this season. He’ll most likely return to his natural center ice position, now that Stastny is gone. He’s going to need to improve his defense, and faceoff ability though to really fill those shoes. He won 42% of his draws last season, which is something that should improve over time. On defense he still needs to get some experience under his belt. However, given his work ethic and his natural talent, his defensive game should come around. Though no one will be talking much about his defense most nights, as he hopes to show just how elite of a forward he can be. He’s an explosive player, and Colorado are lucky to have him. 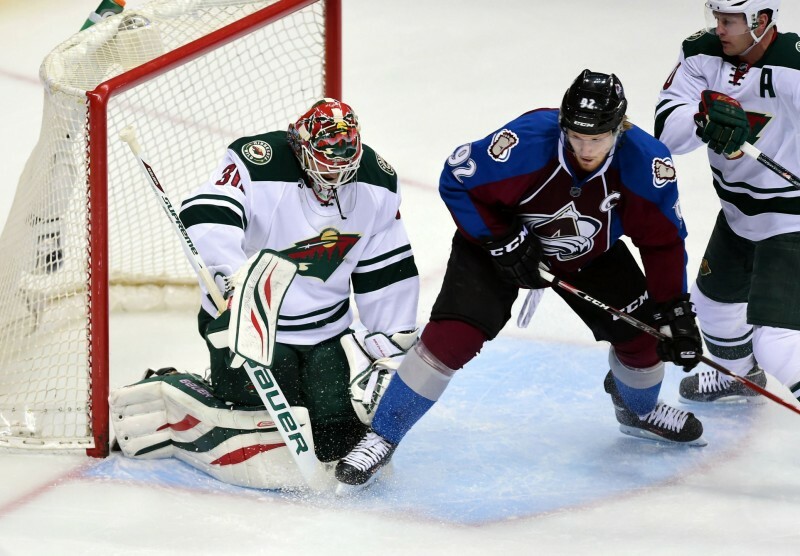 Seymon Varlamov was Colorado’s MVP last season. No one on the team was as important as Varlamov was to this team’s success. Avalanche fans are very familiar with the term regression, and it’s something that is a cause for some concern. Varlamov’s save percentage last year was .927. His career save percentage is .917. that’s a ten point bump, more so if you consider what his career average was before last season’s steller performance. The question on everyone’s mind is if Varlamov has developed into a world class goalie, or if last season’s numbers were a statistically anomaly. One thing that is for sure is that Varlamov is one of the most athletic goalies in the NHL. He’s been working with famous goalie coach Francois Allaire, and says that Allaire has been a tremendous help in improving his game. Varlamov is much more conservative in his movements. Last season he was much better at conserving his energy and staying square to the shooter. He was occasionally tasked with making a highlight real save, but he always seemed up for the challenge. 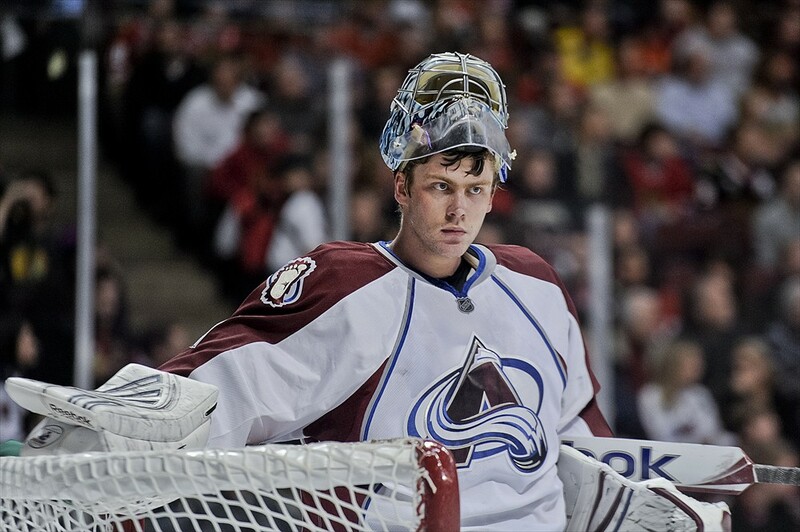 This year we should see if Varlamov has made his name as one of the league’s best, or if it all comes crashing down. Matt Duchene is primed for a big year. He needs to have one. He’s now the team’s number one center, at least until MacKinnon decides to take that title away from him. Duchene has always given 100% to the team, and he’s been getting progressively better as each season rolls around. Last season he was on the edge of being a point per game player before injuries slowed him down at the end. He developed a terrific chemistry with Ryan O’Reilly last season, and both players had career years. If Duchene can create that same kind of chemistry with new signing Jarome Iginla, then it could be the start of a incredibly dangerous group. Duchene will have to cover more defensive duties, the ones that Paul Stastny handled. Colorado is placing a lot of expectations on Duchene and he’ll need to live up to them for the Avalanche to go far. Last season Colorado were 19-6-3 against other teams in the central. For a team that many predicted wouldn’t even reach the playoffs, that number is impressive. Going into a new season, Colorado will need similar numbers if they have any hopes of repeating as central division champions. The Chicago Blackhawks are incredibly stacked with talent, but for whatever reason, Colorado matches up really well against them. Both teams are talented skating teams, and perhaps no other team in the league is able to keep up with Chicago on the ice as well as the Avalanche. 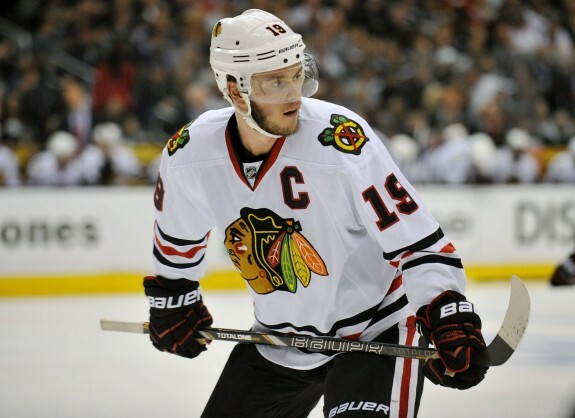 Despite one blowout game in Chicago the Avalanche handled the Hawks well. But this year it’s going to be tough to do that again. Chicago finally went out and got a number 2 center. Despite any recent dip in form, Brad Richards is still a better center than Michal Handzus. Chicago has some salary cap issues that could hamstring them in the coming years, but right now going into this season they are the best team in the division. 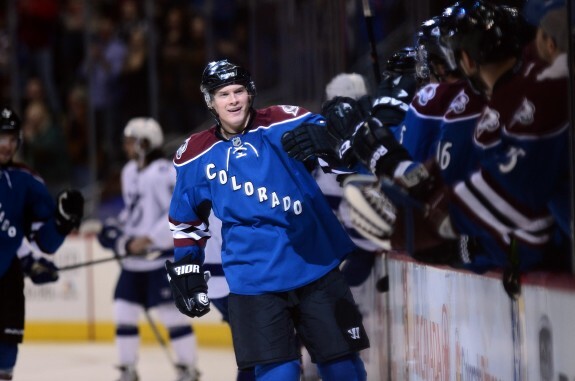 No one might be sure what kind of reception Stastny will get in Denver, but everyone knows how Matt Cooke will be recieved opening night in Denver. The hard fought playoff series between the two team is renewed in a home and home series to kick off the new season. Colorado had Minnesota’s number all last season, except in the playoffs. That seven game series was a sign that Colorado wasn’t quite ready for the big time. The team struggled on the road games that series. Starting the season in Minnesota will be a good test for the Avalanche. If the Avalanche don’t have the same run away season as last year, then expect these two teams to be fighting a close playoff race come April. Of all the teams that made improvements in the offseason, Dallas might have made some of the biggest improvments. Colorado had the upper hand during last season, but those games were closer and more exciting than the record shows. New Stars like Jason Spezza and Ales Hemsky have given Dallas a lot of punch up front. Big names like Jamie Benn and Tyler Seguin, who were both excellent last year should be cause for concern in Denver. The Stars have a realalistic chance at jumping into the top 3 in this division. They are definitely not an opponent to take lightly. This will be the first season in franchise history without Barry Trotz behind the bench. New coach Peter Laviolette takes over for a team that has famously had trouble finding the back of the net, but has always been very stout defensively. 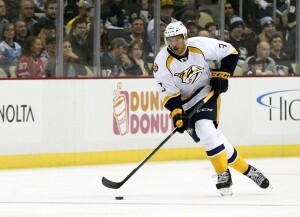 Mike Ribeiro joined the team from Arizona, and he hopes to pump new life into his career. Nashville didn’t fair terribly well against Colorado in 2013-2014 but they have some talent on the roster. It’s not likely to see Nashville challenging for a playoff spot this year, but they have made improvements. Colorado will also be linked with Nashville as long as Seth Jones plays in the music city. Winnipeg will probably finish last in the Central again this season. They lost 20 out of the 29 games they played against divisional opponents. They made minor additions to their roster, like adding former Av T.J. Galiardi. But the team still has issues with goaltending. Despite that they still have a few quality blue liners that are capable of keeping them from being bottom dwellers in the NHL. But while teams around them in the Central went out and made major improvements to their teams, Winnipeg didn’t do enough to keep up. However, against Colorado they played well, winning more games against the Avs than anyone else in the Central, save St. Louis. Ok, a Stanley Cup is probably a bit too optimistic. But the best case scenario for The Avalanche is just that they maintain the level of play that they had last season. It’s going to be excedingly hard to win the Central again this year, especially considering the improvements made by so many other teams in this division and conference. If Colorado can stay healthy and Seymon Varlamov builds on his incredible performance last year then Colorado will make the playoffs with ease. Once in the playoffs, Colorado now have the expericnce of a tough playoff loss last year, and the addition of a lot of real veteran leadership. It’s not out of the realm of possibilty that Colorado could make it to the 2nd or 3rd round this year, provided things go right for them. Colorado still aren’t real cup contenders yet. But if they can improve a little bit each year then that kind of lofty expectation can’t be more than a couple years away. A least Jarome Iginla hopes so, for his sake. The season starts October 9th in Minnesota. MacKinnon will be there.